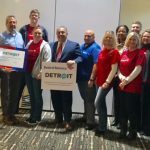 For the fourth year in a row, the SAY Detroit Radiothon broke the $1 million dollar mark in funds raised during a marathon 15-hour broadcast. Held Thursday, December 6 in the North Grand Court at the Somerset Collection in Troy, the radiothon was broadcast live on WJR 760AM and streamed across the web at www.mitchalbomradiothon.com, clickondetroit.com, wjr.com, freep.com and on Facebook. 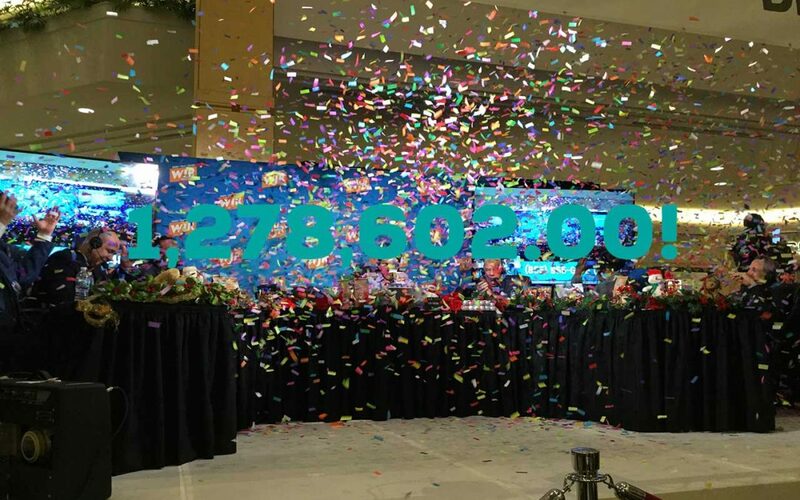 In its seventh year, the Radiothon has raised over $4.5 million, including a record $1,261,000 in donations in 2017. 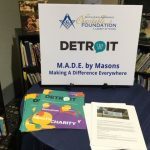 “The thing that strikes me the most is the continued kindness that surrounds this effort from the people who let us use Somerset, to the volunteers who work the phone banks, to all the celebrities, sports figures and entertainers who agree year after year to come on, to all the people who continue to donate,” said Albom, who founded SAY Detroit in 2006. “As a result, we’ve been able to do some amazing things at SAY Detroit. We took a quantum leap this past year, with a deep and experienced new board of directors with a vision towards cementing the efforts that we do in the city right now and securing their future long term. This year’s list of guests included Hugh Jackman, JK Simmons, Jane Pauley, Anderson Cooper, Dr. Phil, Hank Azaria, Paul Stanley, Lily Tomlin, Will Arnett, John Pizzarelli, Grant Hill, Senator Debbie Stabenow, Bradley Whitford, Sawyer Fredericks, Billy Bob Thornton, Tim Allen, Dave Barry, Adam Schefter, KEM, and Howard Schultz. Closer to home, Mike Duggan, Tigers Manager Ron Gardenhire, Pistons Coach Dwane Casey, Matthew Stafford, Kirk Gibson, Tom Izzo, Jim Harbaugh, Dave Bing, Blake Griffin, and many local news personalities including Roop Raj, Amy Lange, Brad Galli, Carman Harlan, and Bernie Smilovitz. Hourly sponsors included The Suburban Collection, General Motors, Ilitch Holdings, Inc., Michigan Center for Fertility & Women’s Health, Ford Motor Company Fund and Community Services, Bank of America Charitable Foundation, Cooper Standard, Michigan Masonic, Charitable Foundation, Art Van Furniture, St. Nicholas Troy Ladies Philoptochos, Artichoke Garlic Foundation, Emagine Entertainment, Somerset Collection, Health Partners Inc., and the Singing for Change Foundation. Additonal sponsors include Diamabrush, Toyota, W.K. Kellogg, and Trinity Health. 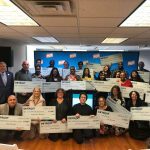 For those who missed the opportunity to donate, bid on auctions, or buy incentive premiums during the broadcast have the opportunity to make donations and purchases through the weekend at www.mitchalbomradiothon.com.